SC-1323-K is Pioneer’s extremely popular network receiver. What makes it so popular are the highly advanced features and great quality of the product. Pioneer is a brand name in network receivers, stereo systems and home theatre. Over the years it has maintained its position as a leading manufacturer of these electronic products because they have been uncompromising in their quality and ever evolving. 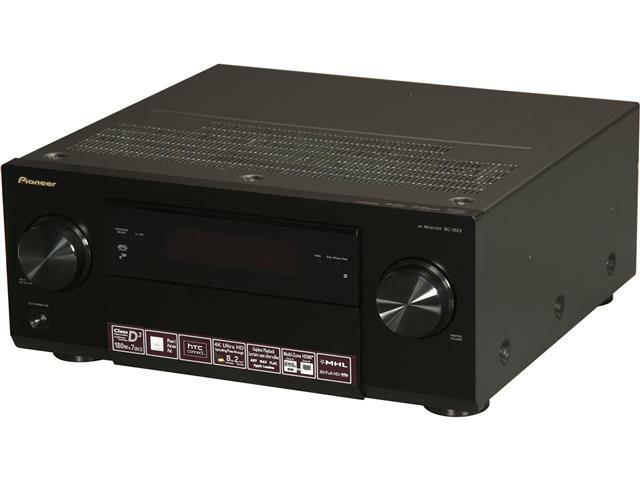 These qualities of a trademark pioneer network receiver are in Pioneer SC–1323-K as well. What are the physical features of the receiver? Pioneer has believed in giving its customers some of the classiest looking electronic devices. They pay equal attention to the exterior and finish of the product just like they do to the technical facets. This receiver has the physical dimensions of 17.1×15.6×7.3 inches. It weights around 31.2 pounds. When you look at the receiver you will get the idea that it is strong and was build with the purpose of longevity. Sure that was the motive because this product will last for a very long time. It has a black aluminum front panel that is strong. The look and the design of the receiver will fit anywhere in your home. You could either keep it in your living room or bedroom because it will easily fit ant décor. What are the technical features of this receiver? What makes Pioneer SC-1323-K stand apart from its competitor is the highly advanced features that are state of the art. Here is a look at some of those features that makes the receiver so popular. The most striking feature of this product is the class D3 amplification that gives the receiver high performance caliber. Every technical feature that is present in the receiver gets a power surge because of the amplification. This in turn gives you the finest quality of audio and video output. This is a multi zone AV receiver that will enable you to operate in more than one room in your house. You could have a main zone that has the receiver and then have other second and third zones in various rooms of the house. You will also be able to channel different content in different rooms. For example, you could be listening to one audio file in the main zone and a different music file in the second zone. This receiver has exceptional connectivity with many apple devices. You will be able to stream music from iPad, iPhone, iPod etc. It is an extremely easy plug and play method where you will be able to instantly connect the device with the receiver. 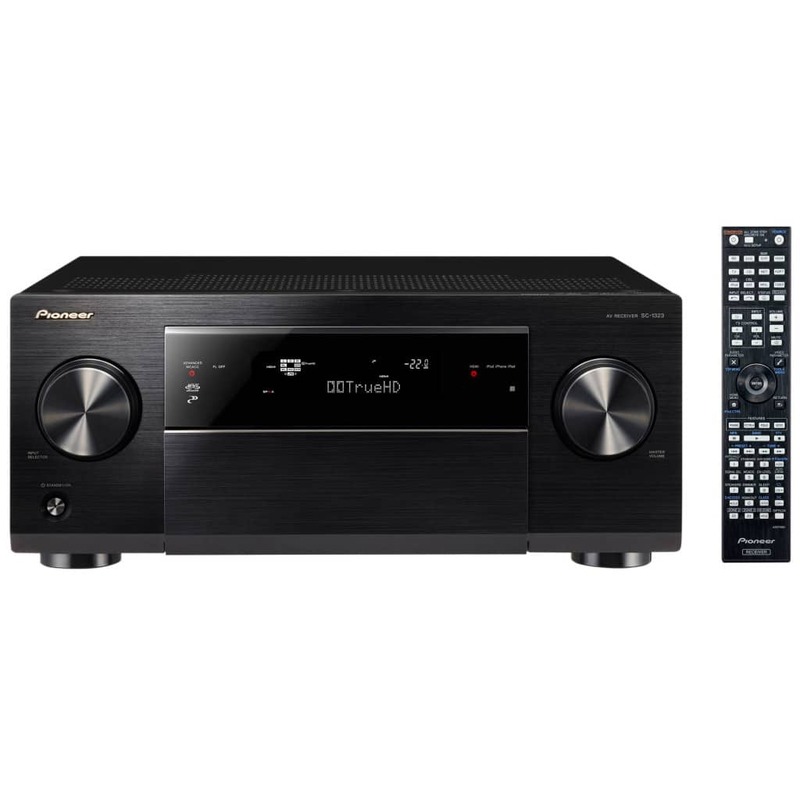 Since the Pioneer SC-1323-K has exceptional connectivity you will have the facility of AirPlay connectivity. You will be able to share your favorite music via windows 8, straight from your PC or laptop and DLNA. With the AirPlay connectivity you will also be able to steam contents from the internet radio. This feature gives you a huge range of choices regarding where you want to stream your music from. The receiver comes with the latest Multi-Channel Acoustic Calibration system also known as MCACC Advanced. This feature gives you customized sound system for your home. The MCACC Advanced technology measures the speaker’s connectivity, distance from the listening point and size of the room. This helps the Acoustic Calibration system to provide the appropriate sound for the room. Therefore you get customized sound system that is perfect for your space. This is a unique feature that separates this system from its competitors. Experience the pleasure of watching the latest and most advanced quality of video with 4K pass through. You will get ultra high definition pictures because of this feature and you will also be able to steam video content from 4K television and computer via the receiver. For this network receiver you could use your android phone as a remote control. Of course the receiver comes with a detailed remote control, but you will not have to look for it every time you stream your favorite music file from your android phone. You could just download the free application called iControlAV2013 in your phone and you will be all set to use it as a remote control for Pioneer SC-1323-K.
What is the cost of this receiver? 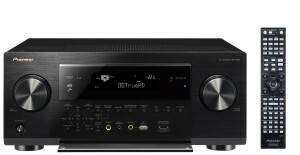 The list price of SC-1323-K network receiver by Pioneer is $1299.99 at Amazon. However, they are offering a heavy discount on the price. There is around 31% discount on the list price on the Amazon website so you could get it for $899. 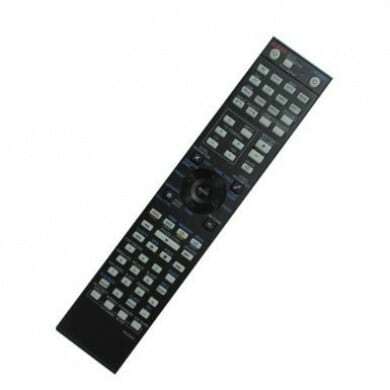 At this discounted price you will have the receiver shipped to your desired location for free. What is the customer review? There are great reviews about this network receiver from the house of Pioneer. Customers feel that it is a powerful and advanced receiver which has great technical features and immaculate sound quality. The Pioneer SC-1323-K also comes with a AV navigator which makes it very easy to set up.